I viewed the thousands of stones in the Jewish cemeteries throughout the Ukraine as artistic treasures of iconographic beauty and mystery. The headstones of the Kohanim, descendants of the Biblical priests, had hands joined in a gesture of blessing. 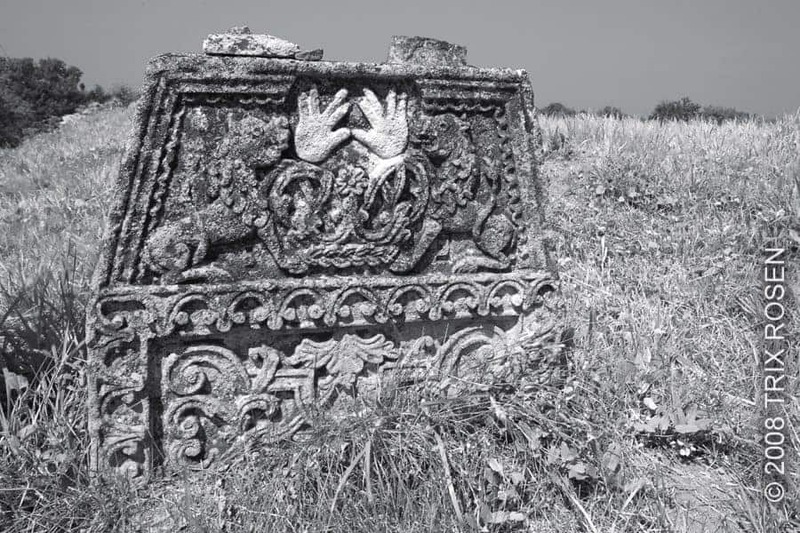 The carved gravestones depict a visual history of the once vast community of Eastern European Jews, and serve as reminders of the people who lived in this place and died. As a historic preservation photographer, I document sites being bulldozed or restored. As a fine art photographer, I choose my destinations to record the poetics of a place. There is an urgency about what I photograph because each is a painful reminder of our inadequacy as cultural stewards. I am drawn to the timeless nature of historic architecture because it is a repository of collective memories. From its ever-evolving essence one can understand the sites’ creative and passionate link to humanity. This is a very moving piece. As always, I am a huge fan of your vision and art. It is so important to document our history and you do it in such a beautiful and powerful way.